Las Vegas, Nevada (August 13 to 15, 2018): The 2018 PGA Fashion and Demo Experience was an annual event held at Topgolf on August 13, 2018 for the Demo experience and the PGA Fashion and Demo Exhibits and Conference at the Venetian Hotel on August 14 to 15, 2018. The Demo experience highlights all the upcoming and new exhibitors for 2018 with their new products and equipment. This was followed by the two (2) day PGA exbihits and conference at the Venetian Hotel which was highlighted by the PGA Fashion Show held on the first evening of the exhibition, August 14, 2018. 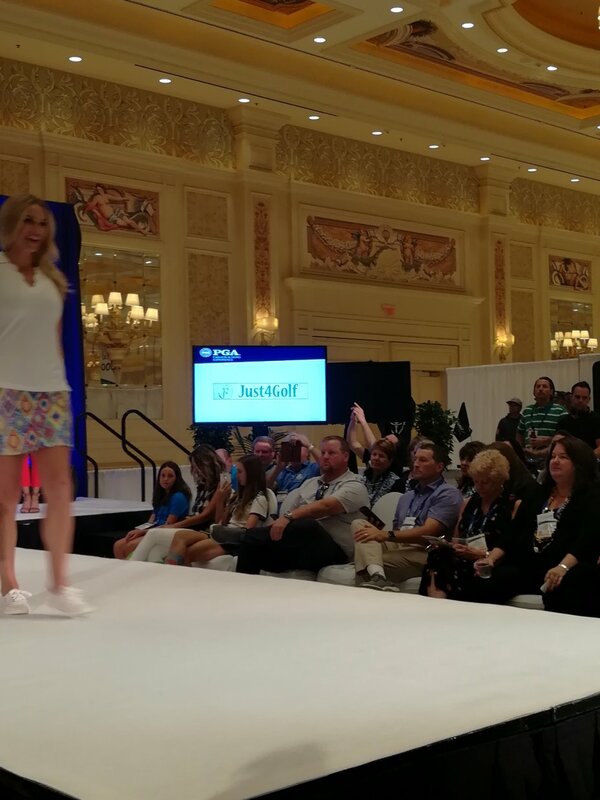 This fashion show, hosted by Golf Channel's announcer Ms. Bailey Moiser, allows major clothing apparel sponsors to show to fellow exhibitors, attendees and media new golf apparel for 2018. (All text and photographs taken by: Rene Zamora, Newsmexx TV Photographer/Journalist, Henderson, NV USA).